In 1991, I got my first tattoo. This was in the days before everyone had ‘ink’. Back then, the only people you saw tattooed were bikers, ex-cons and sailors. But I REALLY wanted a Tattoo. 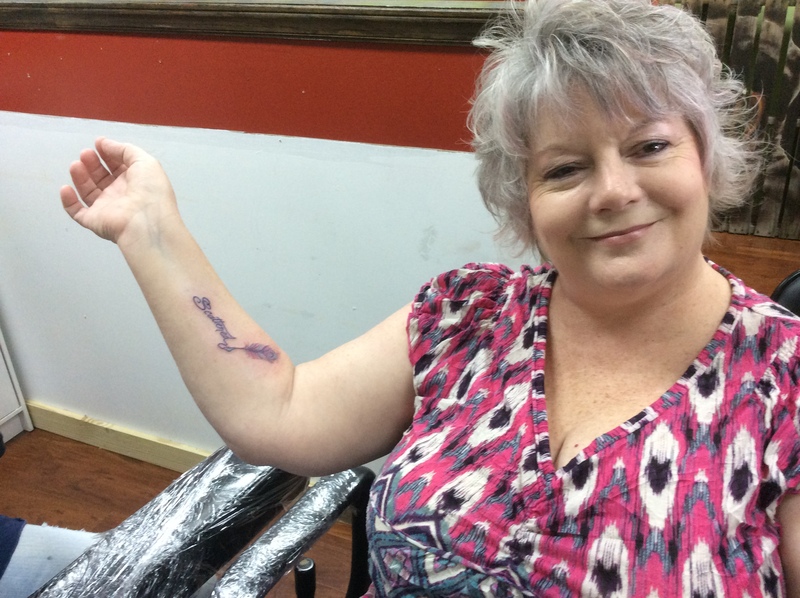 So I got a teeny, tiny rose on the inside of my ankle….and I LOVED it. I knew I wanted another one, but just never got ‘around to it’. I thought about it often ~ when I’d see other tattoos, beautiful pictures of body art or a really cool song lyric would roll through my head. And I knew I wanted it somewhere I could see it…so that took out about 1/2 my body as canvas. When you take away my face and other ‘not so desirable’ places to have lots of tiny needles stuck in your skin for an hour, it boiled down to my arms, and legs. I wanted to get a tattoo on my wrist ~ and I wanted just one word. And so the search began. Years went by ~ no tattoo. I told myself I’m DEFINITELY getting one….as soon as I figure out that elusive word I wanted inked permanently on my body. Flash forward to 2014 ~ and my best friend’s 3oth birthday. 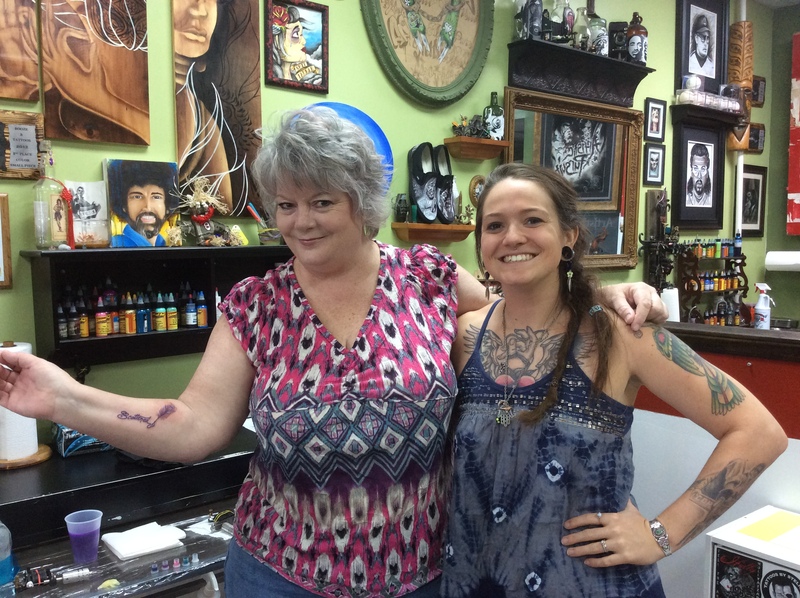 When we talked about what she wanted for the grand occasion, she was very quick with her answer, although maybe a little hesitant…..she said she wanted us to get tattoos together. And I KNEW that I had the chance to make up my mind and finally get that 2nd tattoo…only 23 years after the 1st one. Do you have ANY idea how many WORDS there are in the world….how many song lyrics, how many PICTURES of one word tattoos, and ideas and OMG PINTEREST!! There are hundreds of THOUSANDS of pictures of tattoos on Pinterest and I spent HOURS looking at them all. Then about 3 weeks ago, after spending HOURS looking again on Pinterest at all KINDS of body art, my eyes grew tired and I get up for something to drink. 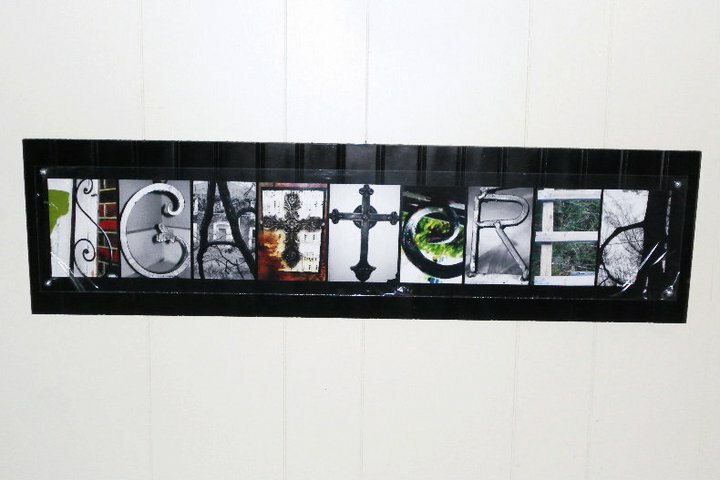 As I poured my Sweet Tea, I glanced over at the dining room and there…..above the table…..was the sign I had made several years ago with the ONE word I used to describe myself. A wave of emotion hit me as I KNEW that word was THE one. My brain is scattered, my life is scattered, my thoughts, words, actions and laughter ~ it’s all scattered all over the place. It’s the way I AM. And you’ll never guess who gave me that words years ago when I was searching ~ Mac. Just as I knew it was the perfect word then, I knew it was now. Yesterday was Tattoo day ~ Jamie at Artistic Pursuits did a fabulous job and I love it. PS ~ The scattered sign I got years ago that served as my inspiration was created by the ever talented girls at Cocky Robins. What an awesome tattoo!!! Love it! Lynda ~ Thanks!! It took a long time for me to get it right, but I do love it! Awesome Sasha, I got my first tat on my 50th B-day. Now mind you , I do have short arms but I have a hummingbird drinking out of a flower, then later on I added a dragonfly. It is on my forearm slightly below the elbow and down to my wrist. I said if I was going to go through getting a tatoo then I wanted people to see it. I am now 60 and wanting to get another one in memory of my late husband,although it requires a lot of thought to get the perfect one as you well know. I would post a picture but I am not computer savy and don’t understand the whole download upload thing lol. I love to see tat’s on people as long as they don’t go overboard, although who is to judge what going overboard is ???? That’s Beautiful, Sasha! I got my “first” this past Dec. Took 3 sessions to finish. There is a heart shaped lock, about 9 different flowers, a skull, and a purple ribbon tying the key, wrapping around the flowers and back to the lock. Whew! They said I handled it better than most guys too! It starts at my collar bone, wraps around my bicep, and trails across my shoulder blade to my spine. Go Big or Go Home was my motto! Next year I hope to finish it with a steampunk pocket watch (with the gears showing) on my right bicep, I want a castle on my right shoulder blade, more flowers and a discarded tiara lying by the path thru the flowers. BTW. I’m 56 now. Melissa ~ LOVE, LOVE, LOVE it…and the discarded Tiara…Yep, gonna be EPIC! Would love to see a pic ~ congrats on your most beautiful tattoo! I got my first tat when my daughter left for college. Got me 2nd on my 50th day. Just got married and now I’m ready for my 3rd this will be a combined wedding gift and 54th day gift from my husband. P.s. I really like yours. Abbe ~ Thanks, and I LOVE that yours commemorate special occasions in your life ~ how Awesome!! Oh Sasha….. I love it! I want a tattoo with a feather and just can figure it out. It looks amazing! Kim ~ Thanks!! And lawd, at the tattoos with feathers!!! Fabulous ~ and yes…they are addictive!!! Sasha that is a Beautiful tattoo! !I absolutely ❤it…yay for you! Mandy ~ I’m sure it’s fabulous and I LOVE the idea ~ and yeah, I’m not into the pain either, but it wasn’t as bad as I thought it would be! Thanks! I got my first tattoo in 1978 along with my girlfriend-our boyfriends at the time told us “GOOD” girls don’t get tattoos-so we had to prove them wrong-lol. It was a small crescent moon with a star on my shoulder. A few years later I added a bluebird and a rainbow of stars, I now have a 20 year old daughter with several tattoos and whose goal in life is to become a tattoo artist. Things sure have changed since then-lol. I got my first one at 23. I kept getting them for different mile stones in my life. I also have my husbands name on my wrist, just like some other’s mentioned. It was the last one I got. I love your tattoo! I can’t wait to see what you get next! Laura ~ Thanks, and I don’t plan on waiting 23 more years – ha! And they are Addictive!!! Trish ~ Do it girl!! And Thanks! Can I PLEASE come visit with you??? 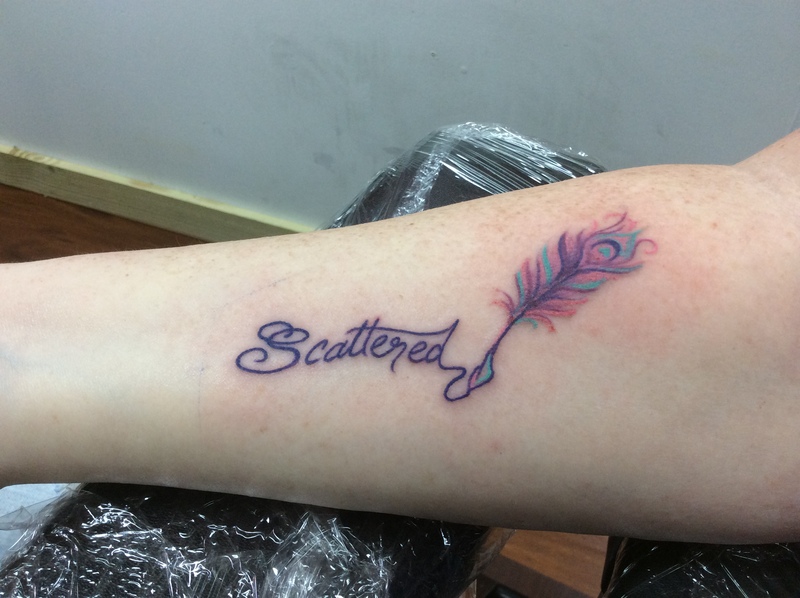 I know you would fit in with my friends and myself because you are “scattered” and funny as all get out!!!!! It all depends on your pain tolerance as to whether you think it is very bad or not. Katrina ~ good to know!! Thanks! They won’t do it if you’ve been drinking because alcohol is a blood thinner and you’d bleed too much. Angela, that’s what I had heard, but hadn’t done any research so wasn’t sure. BUT that makes total sense! Thanks for the info! My husband got a tattoo on both of his arms when he was in the Navy. My kids asked him if it hurt and he said “hell no, I was drunk”. But that was a long time ago. Who knows now!! Katrina!!! THANK YOU ! I hadn’t looked up the meaning and I LOVE it…and Yes, I’ll use BOTH those definitions ~ Cool! I love it!! I’m 56 and thinking about a 2nd one too!! Keep living life I always say!!!! Rhonda ~ That would be fabulous to have tattooed! Debi ~ It’s a daunting task – ha…only took me 23 years! Loved your post today. I have been thinking about getting my first one as homage to my beloved Yorkie who passed recently. Your post just moved me one step closer! Vicki ~ Thanks and that would be cool! I love it! What did your friend get? Thanks Kelly! She got a grouping of a feather, the word “Dreamer” and beautiful arrow thru the moon and some antlers with dangles hanging down. It was AMAZING!